Georgetown Square offers sophisticated living in a sought after Dunwoody address. 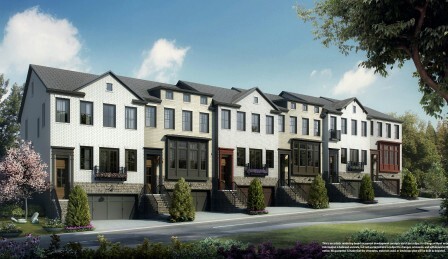 This new townhome community is just a short walk from restaurants, shopping, parks, and more. Behind the gates, you’ll find a private retreat where thoughtful neighborhood design blends a walkable, urban feel with charming, European and classic inspired streetscapes and a refreshing flower garden and park, perfect for relaxing. Detailed designs will combine rich, uniquely crafted exterior architecture with innovative and luxurious interior plans, conceived and meticulously refined for the way you want to live. Create your dream home with a variety of flexible plan options to shape your home your way and a selection of today’s best features and finishes for the perfect finishing touches. You can choose all those finishing touches with ease with the help of your personal Design Consultant. To learn more about Georgetown Square visit www.georgetown-square.com.